Brother Joshua Goldstein (UC Riverside, 2017) knows about connections. He’s made them with his AEPi brothers and – twice – with strangers. “When I got to school here, I was interested in joining a fraternity and came down to two and as soon as I walked in the door at AEPi, I had an immediate connection with the guys…I’m pretty sure that it had something do with our shared heritage. I realized right away that AEPi is really important,” said Brother Goldstein. 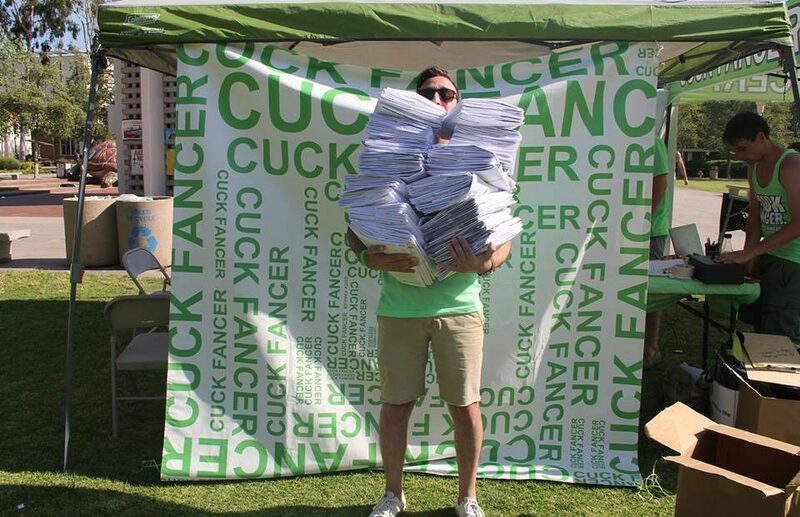 Josh, a theater/film/digital production major, has served the Chi Rho chapter at UC-Riverside as master and lieutenant master but one of his – and his chapter’s — biggest accomplishments came in April 2015 when the chapter did a fundraiser for Brother Ben Teller’s group, Cuck Fancer. In addition to holding campus-wide events to raise money and awareness, the chapter launched a cheek swab program for a bone marrow transplantation organization called Bethematch.org. (Note: AEPi International partners with Gift of Life Marrow Registry on an international level and through this partnership with Gift of Life, more than 50 patients have received bone marrow transfers as a result of AEPi’s efforts). “I, along with my other brothers, made sure that everyone involved in Greek life as well as just random people passing by, on campus got swabbed.” Within five hours, the chapter had gotten 336 cheek swabs. And, that’s where Brother Goldstein’s connections with strangers began.